evangelizing the (digital) natives : Relevance and Engagement: Where Is the Teacher/Student Demarcation of Responsibility? Relevance and Engagement: Where Is the Teacher/Student Demarcation of Responsibility? I picked up two sections of our Applied Math course this semester. According to the curriculum guide (and practically), it is a bridge in our sequence between Geometry and Algebra 2. Following the textbook, MathMatters3, its a fairly even distribution between Geometric and Algebraic concepts. And, of course, we try as best we can (given the aforementioned parameters) to make what we do applicable and relevant to our students. We're in linear equations, graphs, and domain and range, right now, and I chose to have the students look at senior portrait packages. 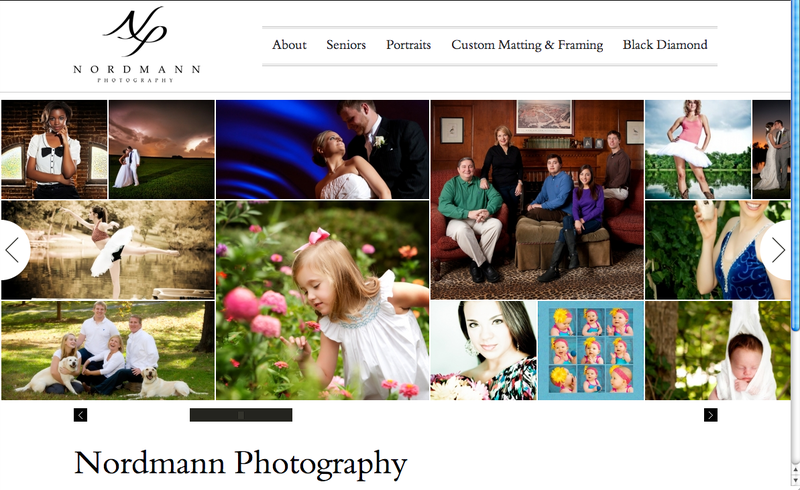 A quick Google search for "st. louis senior portraits" got me here: a real-life company that takes real-life photos of real-life St. Louis people. Posing as the photographer, I gave them print options with prices, told them I wanted them to design packages for themselves, spending at least the minimum investment amounts listed on the Nordmann website for each session type and let 'em loose. 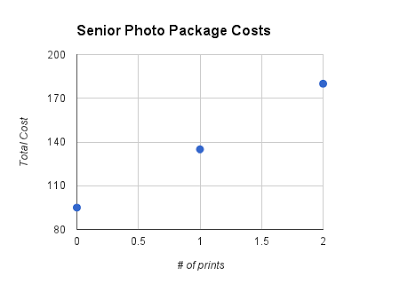 After most everyone had chosen an a la cart package of prints to fulfill the amount they had to spend, I refocused what we were doing to the stated objective of graphing, domain, and range. I had to generalize our package information down to an average cost for print, but we had a cross-curricular discussion into science class as we were setting up our graph. How much would 0 prints cost? So, nothing in this lesson was exceptionally rigorous (although some of my students get very frozen when you tell them to make some choices for themselves and tell me what they come up with so I can know the answer), and the standards in this mini-lesson were at best middle school level, but in terms of relevance, it should have been spot on. "What do senior portraits have to do with our lives? I mean, this is applied math..."
And I had students that exhibited a similar level of engagement to boring days when all we do is direct instruction (that is, little). Where do our best attempts to draw in our students with relevant topics end, and where do we stop beating ourselves up we students make deliberate choices to do anything but the day's activity? Leave your comments below; I'd love your input!